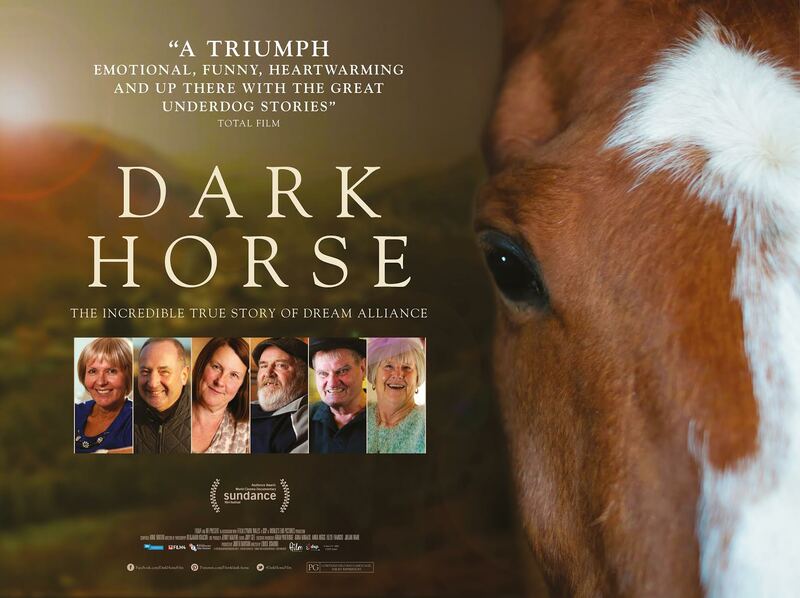 In early 2000, in a tiny village in one of the poorest mining valleys in Wales, Jan Vokes, the barmaid at the local workingmen’s club, hatches a crazy plan to take on the “sport of kings” and breed a racehorse. She gathers together a group of locals who each agree to pitch in 10 pounds a week. They raise their foal on a hillside made of slag from the coal mine and nurture it to maturity. Reflecting their pride and flights of fancy, they name their horse Dream Alliance. To the astonishment of the racing elite, Dream becomes an unlikely champion, beating the finest thoroughbreds in the land. Then, in one fateful race, the horse—which embodies the plucky band of misfits’ hopes and dreams—has a near-fatal accident. Nursed back to health through the love of his owners, Dream makes a remarkable recovery, returning to the track for a heart-pounding comeback.